While there’s plenty of formulas and types of story breakdowns to follow, there’s nothing like an inside job. Things happen in stories because what’s inside the main character, as well as what’s buried in the villains, too. People, and how they fare amid trouble, are what keep us reading once we begin. You can start with a fine premise (a college essay falls into the wrong hands and student is called out for an old misdemeanor revealed on its pages). But going deeper keeps me engaged. Showing me why our student was carrying that small amount of dope (her crime) is more important than the circumstances of her arrest or punishment. Knowing what was in her heart when she revealed this secret is a good driver, too. External events like arrest, breaking the rules, sentencing and being shamed — these are vehicles you employ to show a transformation in your main character. That hero is opposed by antagonists who want something the hero does not want. But even the antagonists must desire something they do not have. It can as simple as denying a hero their desires, or exploiting the hero’s innocence. 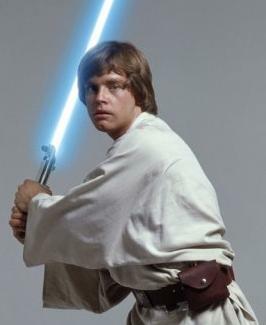 “I’m Luke Skywalker and I’m here to rescue you” are words the young Luke has been dying to say all of his life. Why he wants to say those words, beyond the sound of it being exciting, is a key to knowing why to care about this character across five movies (so far). Everyone who’s a significant character in a story follows a path of transformation. The why that leads them to change the world of the story is the most important engine to push them down the path. Doing character work is rarely wasted time when you apply it to serving the transformation in a story. I always want to know what a hero desires, what a hero fears, what a hero must hide than is forced to reveal. Desire, fear, secrecy: They all can be agents of change in a character and in a story, too. In an old Murder She Wrote, mystery writer Jessica Fletcher said that “character is the soul of plot.” Something interesting taking place is a good start. Learning why it’s interesting—that’s a story.